The Amsterdam bed frame is a contemporary take on the traditional shaker style. 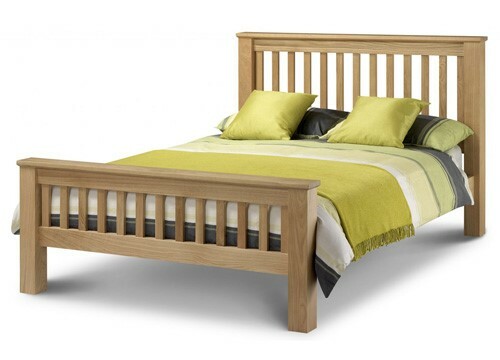 With a solid oak build and sprung slatted base the Amsterdam ensures quality and comfort. With a simple, contemporary design the Amsterdam bed frame is an ideal fit for many bedrooms. The design has a high head and foot board with slatted detailing. The bed frame fits a UK standard kingsize mattress (150x200cm) which sits upon a robust, sprung slatted base. The mattress is not included and will need to be purchased separately.